Get this free application and enjoy it on your Android phone or tablet. How to view your daily horoscope? What is the best way to view your horoscope every morning? That's right, on your mobile device. 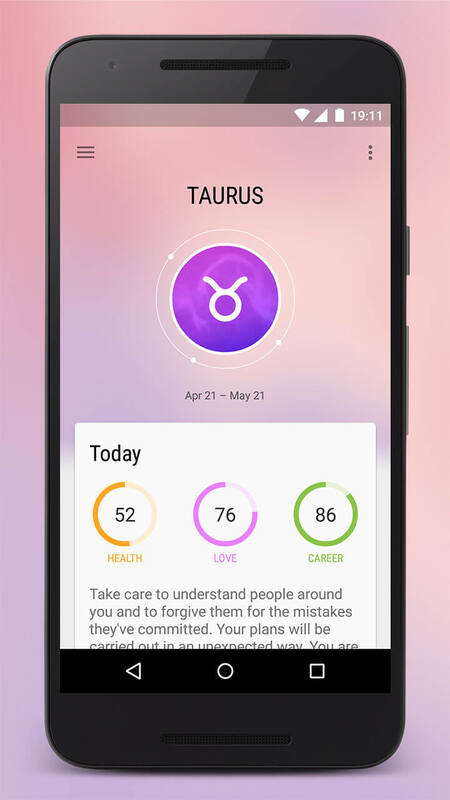 Here stands the perfect solution with the most advanced astrology app. 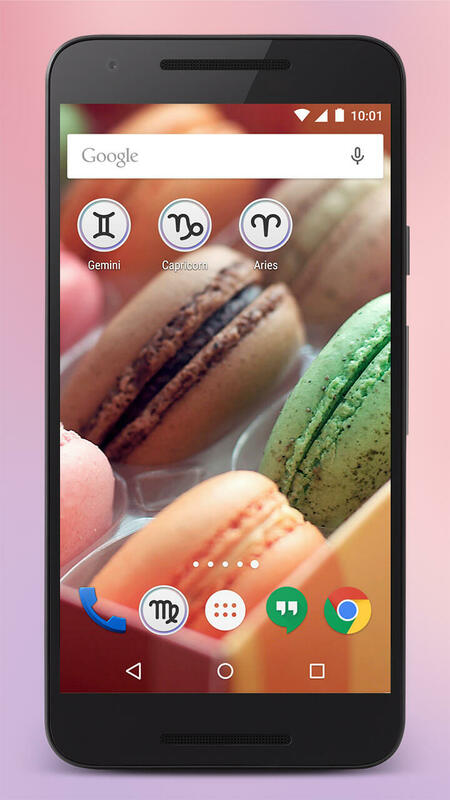 Open Google Play store on your smartphone, tablet or computer and search for "zodiac horoscope" or click here for direct link. Install the application on the device, it will take just a couple of seconds and will not take much space. The download is only 3 MB. 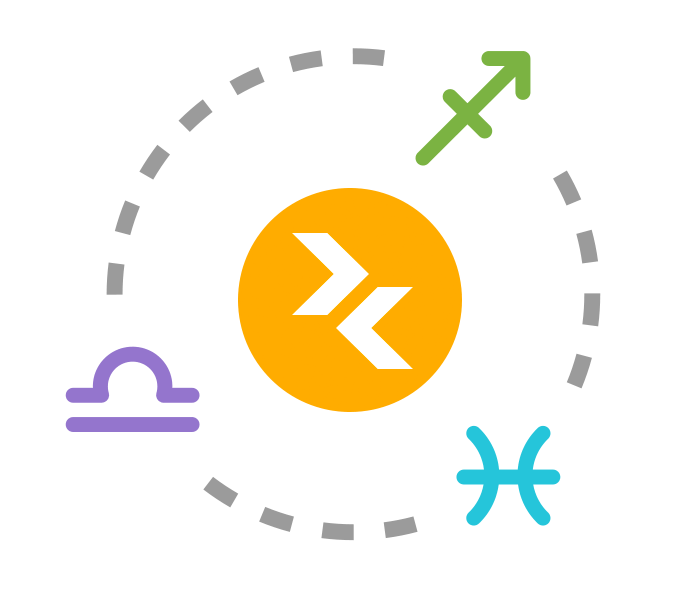 Open Zodiac Horoscope and select your zodiac sign. All 12 signs of the sun zodiac are supported. You can also enable or disable push notifications that remind you when new content is available. Access your prediction for today, tomorrow, the week or the month. 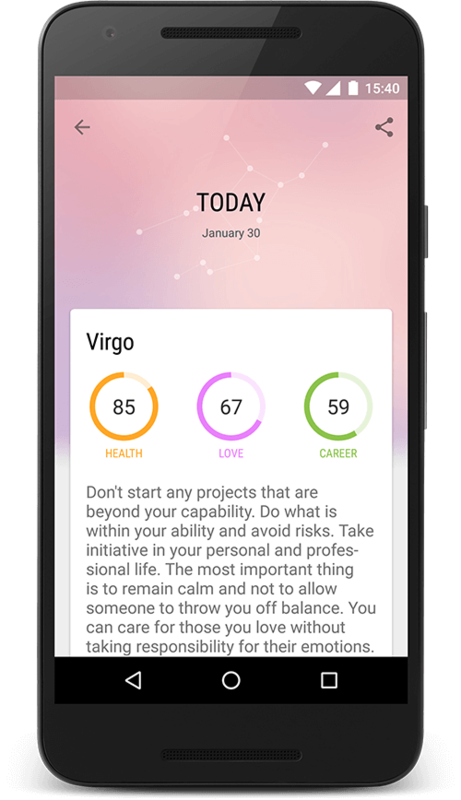 Know everything about your health, dating and love, career and money, your compatibility with others and much more. 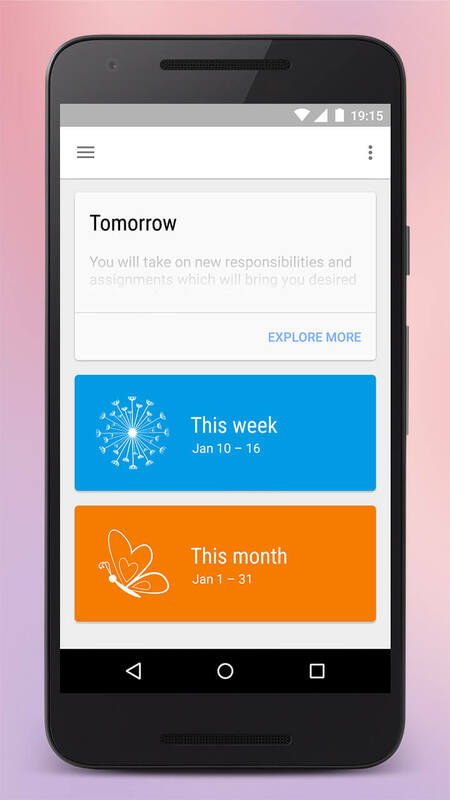 Know your health, love and career status for today, tomorrow, this week or this month. Readings for all twelve signs of the sun zodiac: Aries, Taurus, Gemini, Cancer, Leo, Virgo, Libra, Scorpio, Sagittarius, Capricorn, Aquarius, Pisces. Support for more than 40 languages on all Android smartphones and tablets. Want to know what will happen in your future? Use this free horoscope to plan your day, your week or even your whole month. Get to know your future now. Be more confident and calm when making decisions for your destiny. 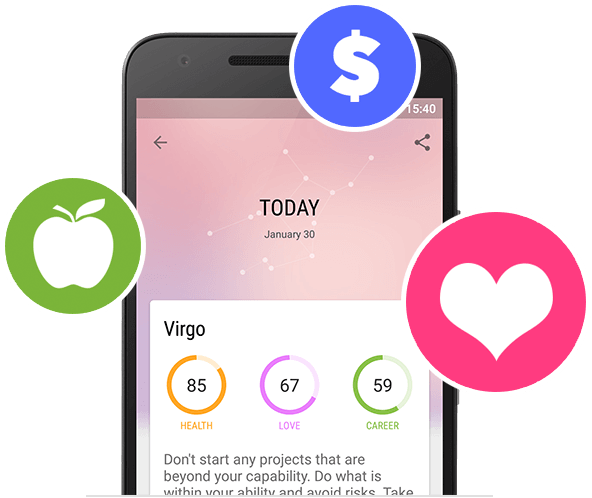 The daily money forecast for each zodiac sign is here for you. 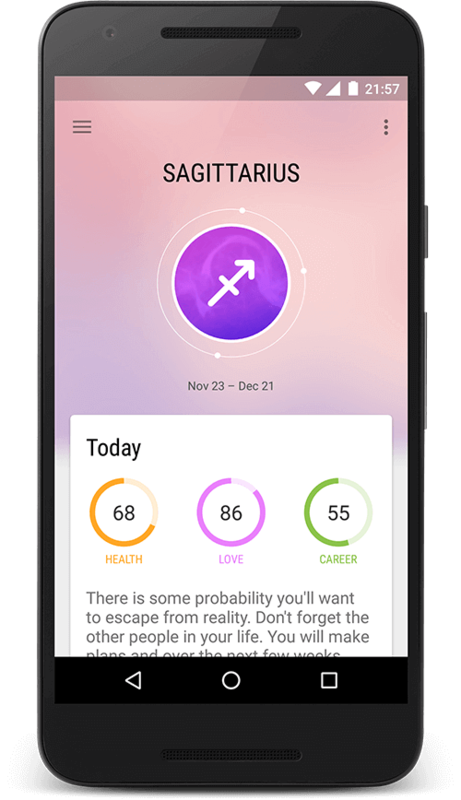 Know what to expect with health & wellness, love & dating, career & work scores right now! 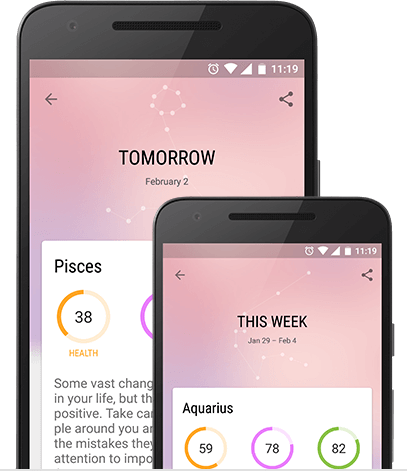 Your destiny is in your hands thanks to the best horoscope for Android - Zodiac Horoscope. Find out if you and your love interest are soul mates. 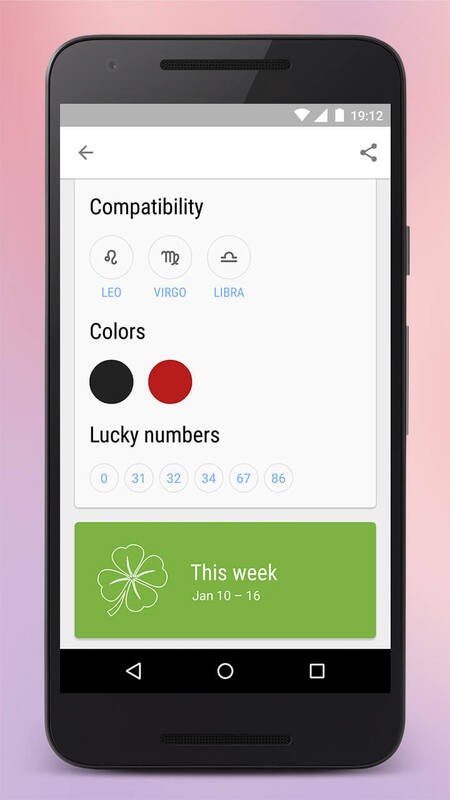 Check your compatibility with other zodiac signs by simple compatibility report. Also, find out whether you and your friends or colleagues are best friends or a recipe for disaster. Don't forget to share your results with them! Have fun! Find out your own lucky numbers and earn a fortune. 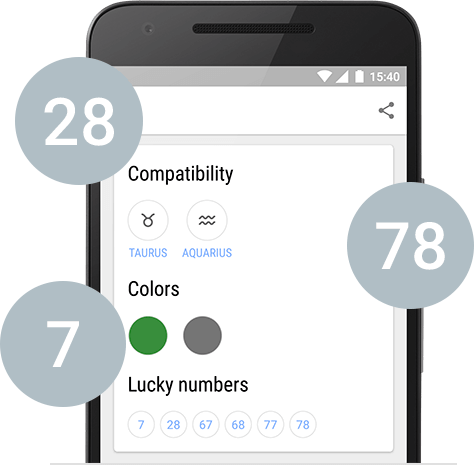 Check your astro-predictions daily in order to know which numbers will bring you luck. Use them wisely. They can help you achieve personal prosperity, health and happiness! Be joyful with your favourite app. Red is the color of fire and blood, pink signifies romance, love, and friendship. Yellow is the color of sunshine. It will bring you joy and energy. Meanwhile, orange combines the energy of red and the happiness of yellow. 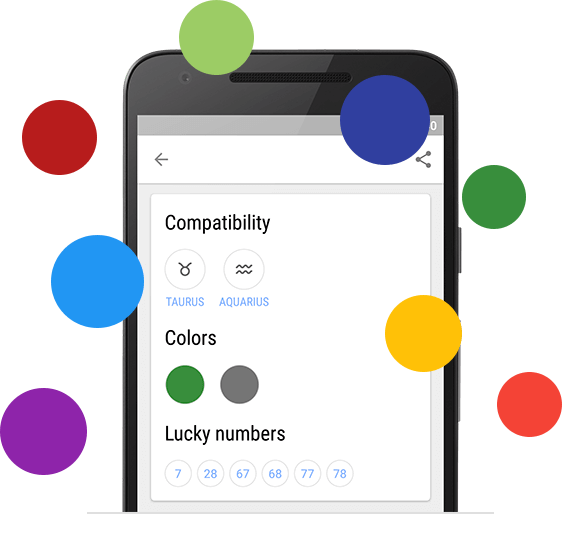 Learn which color you should wear today based on what is written in the stars for you. Live in harmony with nature.